Sini Ann Mathews and husband Wesley Mathews went out for dinner with their 3-year-old biological daughter October 6, the night before Sherin was reported missing by her adoptive father, accoriding to police. Sini Ann Mathews has been moved to a jail on a charge of abandoning a child. 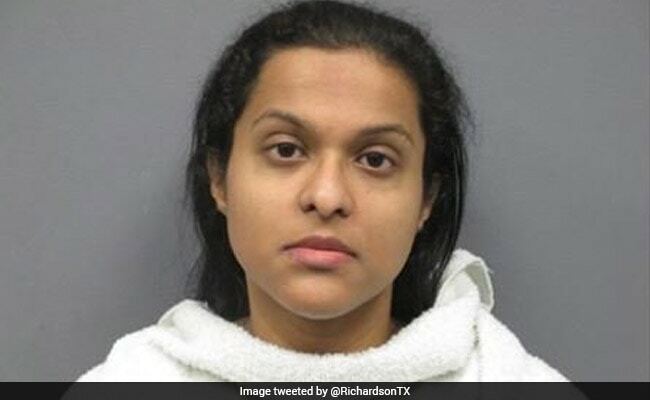 Houston: The foster mother of 3-year-old Indian girl Sherin Mathews found dead in a culvert in Dallas has been moved to a jail on a charge of abandoning a child. Sherin's adoptive father, Wesley has already been arrested and charged with injury to a child, a felony charge. He is now in jail with a USD 1 million bond. The crime is punishable with up to 99 years in prison. The couple from Kerala, allegedly left Sherin alone in the kitchen because she refused to drink her milk, police in Richardson, Texas said yesterday. The 35-year-old mother was arrested yesterday when she turned herself in at the Richardson City Jail, escorted by her attorney. She is being held on a charge of abandoning or endangering a child, a state jail felony. Bail has been set at County jail. Through her attorneys, Sini has maintained her innocence. The Richardson community is in shock. "I'm sure it wasn't the first time," said Richardson mother Shannon Adolph. "She never came out to ask for help from the community while she was missing...something just wasn't right," Ms Adolph said. According to an arrest warrant affidavit, detectives used cell phone records to show Wesley and Sini went to a North Garland restaurant on the evening of October 6. Wesley had initially said he sent Sherin outside to an alley near their house about 3 am because she refused to drink her milk. After Sherin's body was found, he changed his story and to say he "physically assisted" Sherin with her milk, and admitted to removing her body from the home after she choked and stopped breathing, according to an arrest warrant affidavit. Authorities launched a massive search and a cadavour dog found the body of a small child in a culvert on October 22. The body was later identified as that of Sherin. 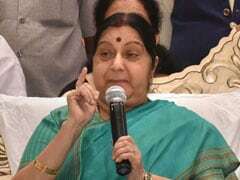 Sherin's death prompted External Affairs Minister Sushma Swaraj to ask the Indian Embassy in the US to be actively involved in the case and keep her informed. She also sought a probe into the adoption process of Sherin, who was adopted by the Indian-American couple last year from Bihar. Following Sherin's case, India decided that passports to adopted children will be issued only with prior clearance by the Ministry of Women and Child Development.